New Canaan's Willie Burger rounds second base during the baseball game against Fairfield Warde at Warde on Wednesday, May 11, 2011. The Fairfield Warde baseball team was playing so well, that it was due for a down game. Unfortunately for the Mustangs, their down game came on clinching day. Warde wasted an opportunity to clinch a trip to the FCIAC playoffs, as the Mustangs fell to New Canaan, 8-1 on Wednesday afternoon at Fairfield Warde High School. "We really didn't show up ready to play," Warde coach Mark Caron said. "We didn't pitch well, we didn't hit well and we made some crucial errors." Warde committed three errors which led to three unearned runs, the Mustangs struggled to get a key hit in a timely fashion against Rams' starter Peter Meadow. Warde was just 2 for 7 with runners in scoring position for the game. "We didn't have a lot of good at-bats today," Caron said. "(Meadow) had a good slider, but we didn't make the adjustment and hit it the other way." Shane Goven took the loss, falling to 2-3 on the year. He allowed four runs in 3 1/3 innings, walking two, giving up five hits and striking out three. Caron was disappointed by the fact that his team could have clinched the school's first trip to the FCIACs with the win on Wednesday. "That's what is most disheartening to me," he said. "They had something that they could have accomplished that Warde hasn't yet and they let it slip through their fingers." The Mustangs had the opportunity to take the lead in the third inning when John Gallucci roped the first of his two singles. He reached second on a sacrifice bunt by James Neamonitis and took third when Michael Garcia singled to left. But Carl Steccato grounded into a 6-4-3 double play to end the inning, and Caron was kicking himself for not putting a play on for his aggressive squad. "I should have played aggressive like we've been doing all year," Caron said. "That's on me." New Canaan followed that with four runs in the fourth to break the game open. The Rams followed that with a run in the fifth and three more in the sixth to take an 8-0 lead. 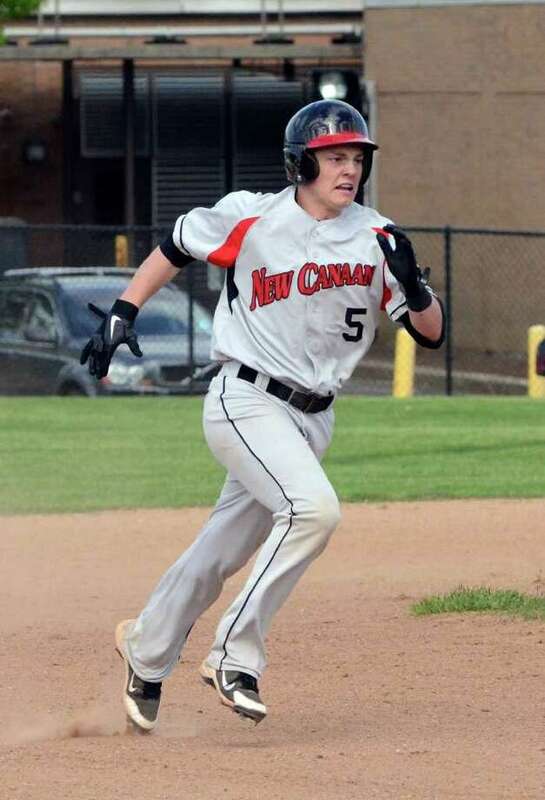 Warde scored its lone run in the sixth when Neamonitis singled and scored on an RBI double by Dan Warren. The loss also snapped Warde's five-game win streak. The Mustangs have still won seven of their last nine games, despite their below average performance on Wednesday. "You can't expect to be at your best every game," Caron said. "But the dropoff between how we've been playing and how we played today is disheartening." The Mustangs now have three games to qualify for the FCIAC playoffs. Warde will host one-win Harding on Monday, travel to current No. 2 seed Danbury on Wednesday, before closing with Darien on Friday. Warde sits in sixth place in the conference standings, a ½ game ahead of Norwalk and Wilton, who are in a tie for seventh. The Mustangs will make the FCIACs with wins in two of their final three games. "If we win two of three, we're probably in the tournament," Caron said. "They know what they need to do...hopefully they come ready to play next week."